One of my favourite things to do at this time of the year is to bake as the autumn and winter months are made for staying in, being cosy and baking so you can share your delicious creations with friends and family. 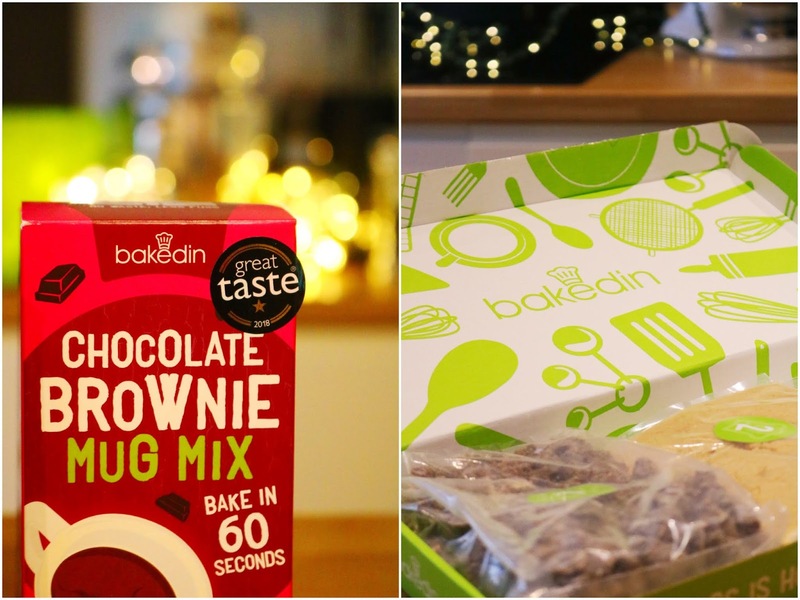 While I do love baking, especially with our new kitchen, I always stick to the same recipes over and over again but thankfully there's a new subscription box that's managed to get me out of my baking slump! You might be familiar with this brand already as they make those 'cake in a mug' boxes in various flavours which I've already tried and loved - you can see them below. The cookie dough one is so delicious, they're so quick and easy to make and they would make amazing stocking fillers, particularly as one box contains three sachets so they can be shared. Today's post is about their baking subscription box which I hadn't heard of until I received a lovely email asking if I wanted to try one of their boxes. 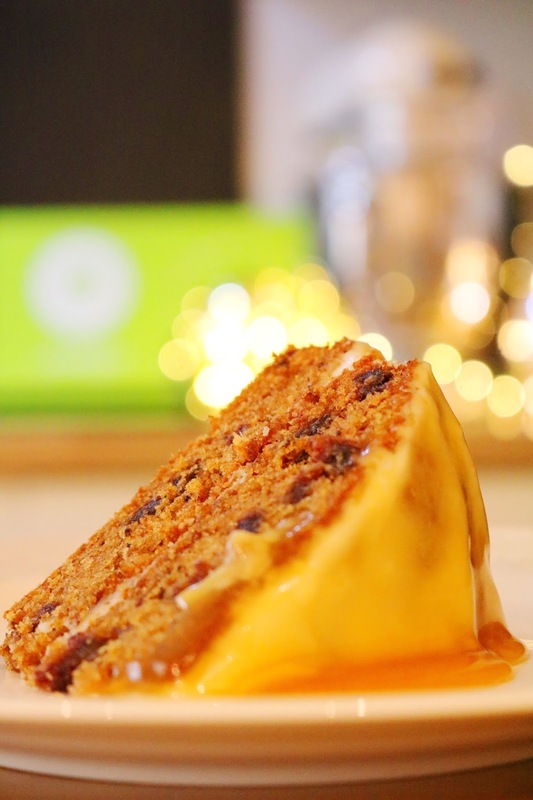 The recipe differs per box and the one I received was the sticky toffee drip cake which was very lucky as sticky toffee pudding and it's variations is my favourite cake/dessert! The subscription box can be purchased as a monthly box at £8 per month which is auto-renewing, a three month subscription which is £22 so it makes the boxes £7.33 per box or finally the six month subscription which is £42 so the boxes work out to be £7 per box. They are all available as gift options and it includes a 12 month subscription as well. Within the box you receive all of the dry ingredients you'll need for the recipe such as dates, flour, sugar etc but you will need to add some ingredients yourself including milk, butter and eggs, for example, as I had to do for this recipe. The instructions are very easy to follow, the recipe didn't take up too much time (although as I was filming everything, it did take longer than it should have) and the bags of ingredients are clearly labelled. It's very convenient to have most of the ingredients already weighted out! Despite not having the size of cake pans that I needed for this recipe, I'm very happy with the results from the appearance of the cake to the taste. I've shared slices with friends, family and neighbours and everyone loves this cake - I do too! While I love sticky toffee pudding, I've never tried it in cake form before (although I guess they're pretty similar) and it's so moreish! 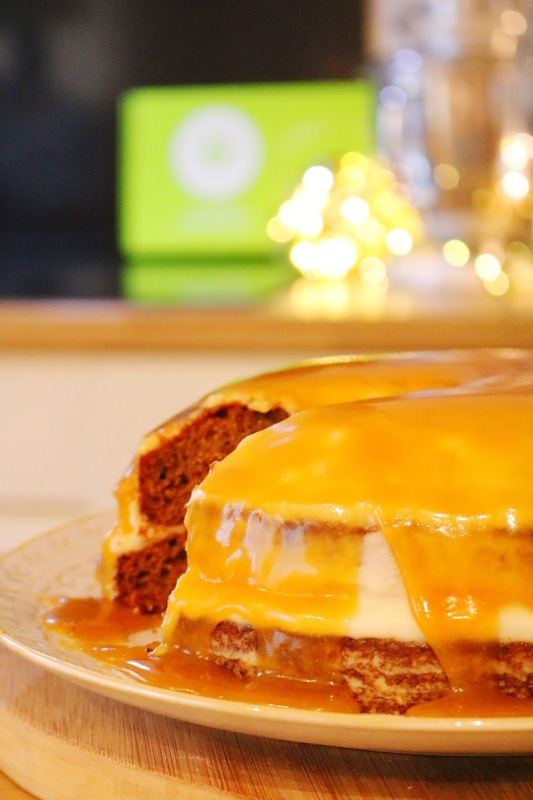 My favourite part about the cake is definitely the scrumptious toffee sauce which I will be making again and again. On the back of the instructions, there are measurements for the pre-weighed ingredients so you can make it again and that's what I will be doing this christmas as it was such a hit with my cake loving friends and family. What do you think of this subscription box? Have you tried anything from this brand? Such a good box for anyone who loves baking! This time of year is perfect for baking! Love this idea! I've never heard of this before, but it is such an amazing idea! Ooooooo that looks SO good! That looks so yummy! You had me at toffee sauce! I'm not the best at baking but this box sounds like it makes it so easy, would be lovely to do with kids every month! I love this idea! I got the Whoopie Pie box and they were delicious and do easy to make. This is a cool box and I know a few people who would like it.